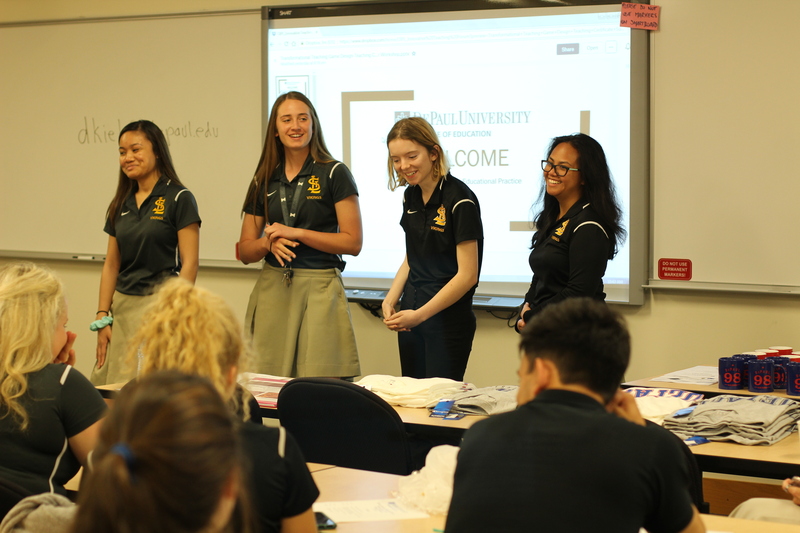 Members of St. Laurence’s faculty and student body have continued to reap the benefits of a unique partnership with DePaul University. Through the partnership, STL faculty members are the first high school to receive DePaul’s microcredential in Transformative Teaching. The microcredential is given to individuals who teach using the design theory learning model, which engages students in the process of design to discover the deeply personal and relevant connections of learning. Students and faculty recently participated in DePaul’s Forum on Innovative Educational Practice, where students presented projects from classes that used the design theory learning model. 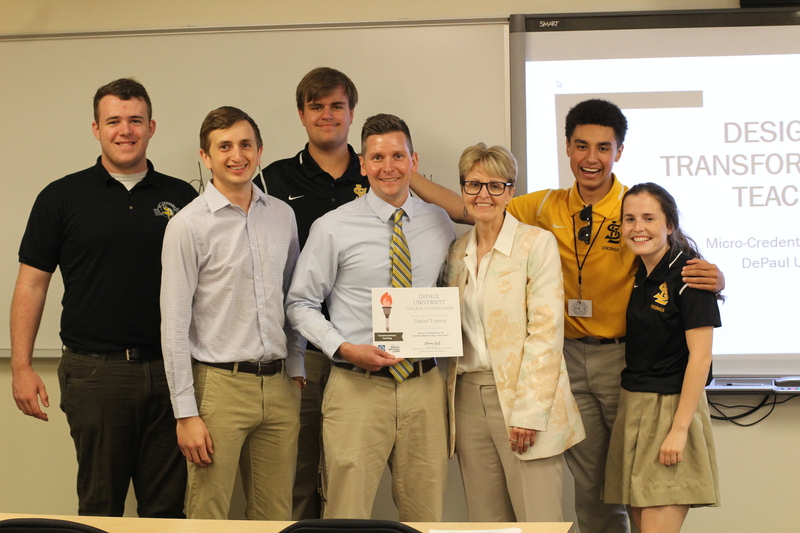 St. Laurence was also awarded a $2,000 scholarship for one faculty member to go through the microcredential process next year. Academic deans will go through the process next year, followed by more faculty members. The team of girls addressed the problem of menstruation in third world countries by creating a biodegradable hydrogel that is self-cleaning and resists and kills bacteria. The team will continue to work on infusing the hydro gels into undergarments to help women deal with the lack of resources available to them. The team sought out to create good-tasting, diabetic-friendly food for individuals with type 1 diabetes. They created low-carb and low-sugar brownies and cookies that not only taste as good or better than regular brownies and cookies, but also repeatedly lower blood sugars so much that the need to administer insulin was greatly reduced. The team created a board game to be used by professionals, teachers, and teens to help them reveal and cope with teen depression. The motivation for playing the game comes from the emotional responses generated during game play and the fun of creating and revealing a better self. Brigid and Corey set out to help students cope with the anxieties associated with the high school experience through the design of an STL Musical Film. The film, which highlights Edmund Rice as the main character, answers the question, “What would Edmund Rice do?” and inspires young people to help one another in the spirit of Edmund. David created a committee of STL Ambassadors whose mission is to spread positivity throughout the walls of STL. 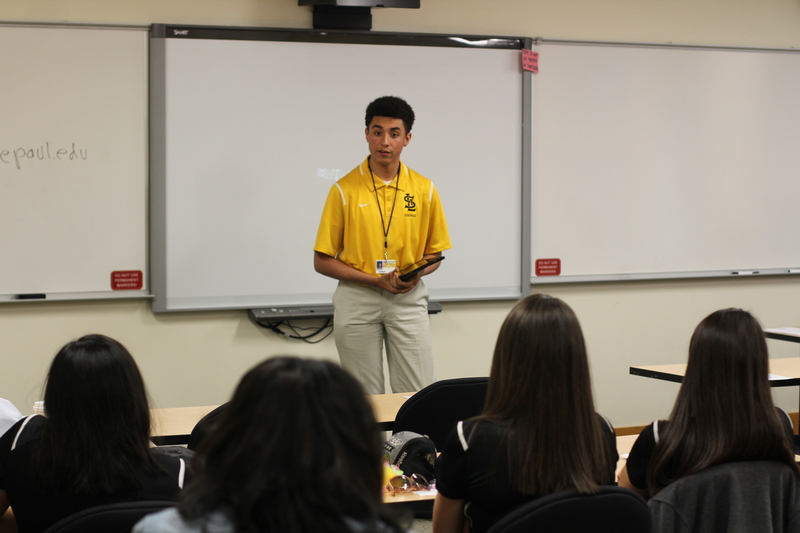 The committee’s second semester goal, Project Sunshine, coincided with Teacher Appreciation Week and advocated for inclusion within the walls of STL. Brendan and Kyle, both letter winning Varsity student athletes, share a passion for sport. Naturally, they designed the Edmund Rice Games as a way to unify young people through sport and a passion for Edmund Rice. The weeklong games culminating in a 50 Lap Big wheel race around the STL track, will first be implemented at STL with the goal of growing into a global games that attracts young people from across the world attending Edmund Rice Christian Brothers.